2 teaspoons of fresh green tea leaves steeped and strained in 1 liter of warm to hot, (not boiling), water. 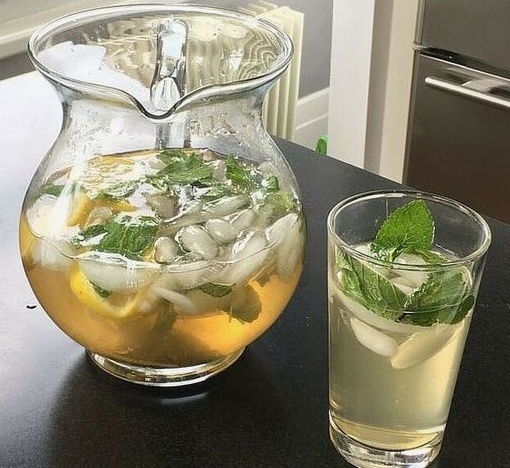 Pour strained freshly made green tea into heat proof water pitcher, add honey. Strain and pour serve over ice. This entry was posted in Green Tea Recipes, Health Advice and tagged Green Tea Recipes. Bookmark the permalink.